After many requests for a cable that is OCC Litz and very little microphonics (cable noise) with greater flexibility, I offer the Triton OCC Litz TPU products. Each wire is larger at 24.5AWG and instead of Teflon/PTFE coating, has TPU (thermoplastic polyurethane), cotton core, and requires a soldering pot to properly tin the wire tips. 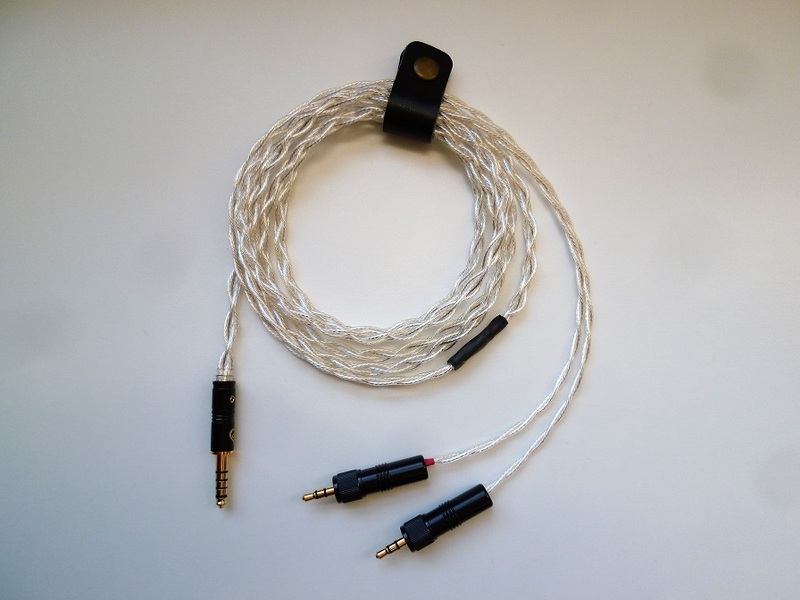 This handcrafted removable cable upgrades from the typical stock cables bundled with HifiMAN, Sennheiser, Beyerdynamic, Audioquest, Focal, Sony, and other headphone brands. Standard length is 55" inches from tip to tip, and 15" inches from Y-joint to L/R ends for the best balance of weight and ergonomics when used with portable setups such as digital audio players (DAPs) and USB DACs. Length above 60" inches at additional cost. A pair headphone connectors. Options include other premium connectors. Single ended or balanced connector of choice. Options include upgrade or premium connectors. Optional adapters to use balanced cable for use with standard stereo 3.5mm/6.5mm connections. Made from 6" inches of same cable/wire of ordered headphone cable and colored matched. I purchased the OCC 24.5AWG Litz Copper cables for both of my German Maestro headphones.This cable sounds night and day better than the stock cables and my music is now much more detailed with tighter and deeper bass, more pronounced left-right seperation and just alot more fun to listen to. The light weight and flexibility of this cable is another unexpected benefit. I am very pleased with these along with the great customer service.